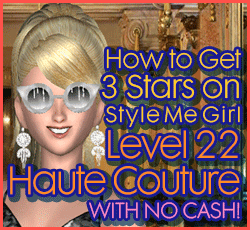 How to Pass Style Me Girl Level 22, "Haute Couture," & Get 3 Stars With No Cash Items! | I Style Me Girl! 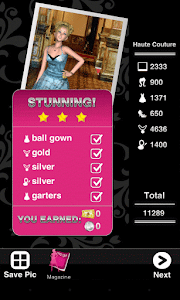 How to Pass Style Me Girl Level 22, "Haute Couture," & Get 3 Stars With No Cash Items! Style Me Girl's Level 22, "Haute Couture," theme featuring model, D'Are, is one of the levels that hasn't really changed since the update. My style of earlier posting, remains a trusty example of how to get three stars on the level without using any cash items! 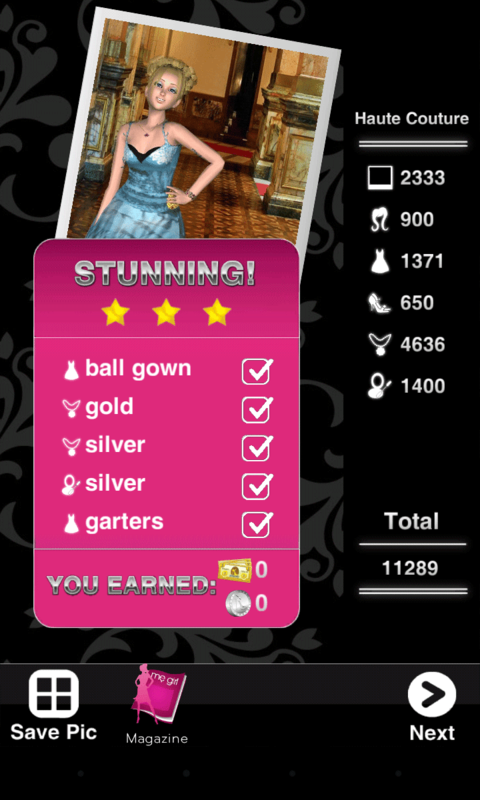 To learn how to get 3 stars on Style Me Girl Level 22, "Haute Couture," without using any cash items, read on! The items I used to earn 3 stars on Style Me Girl Level 22, "Haute Couture," are pictured and described in the list below. The "Closet Items," screen capture image (below right) can be clicked to view a larger version. I earned 2 stars only 'cause it asks for bolero (instead of garters on your screenshot).